Another week friends! My mono is finally clearing up, so I've been able to get down to brass tacks with my workload. First and foremost, I can't show you anything from the totally awesome new Nomad Press book by award winning team Beth Hetland and Donna Latham called Backyard Biology. Keep your eyeballs peeled for ordering info sometime in the fall (I think). Next up I hinted at a VERY secret project that I can tell you about now. 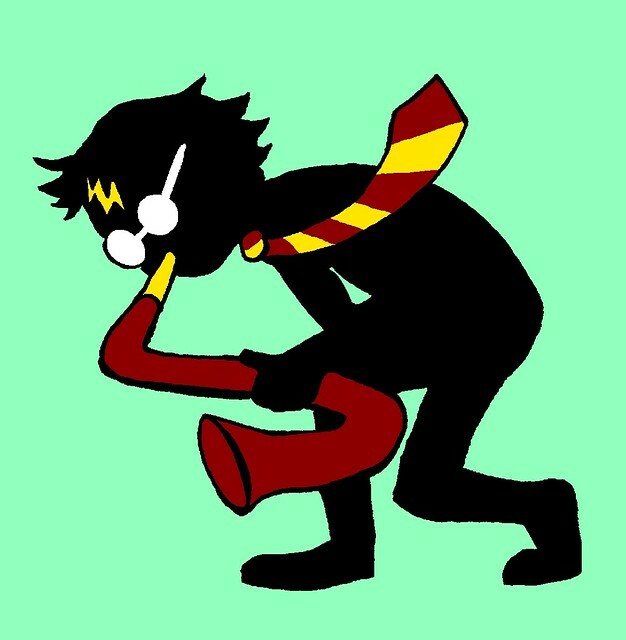 Most of you loyal readers know that I am just completely bonkers for anything Harry Potter related, and especially so for the all-ages WizardRock group Harry and the Potters. Well, dear readers, I got a phone call last week from none other than Joe DeGeorge (one of the Harry Potters), asking if I would be interested in designing a pin for the Summer Tour this year. UM. YES. Their tour is about to start and you all should go check it out! And snag up the groovy buttons I designed. Last weekend I was able to head home to Camp Hetland and enjoy some summer swimming and summer snacking. I also got the privillege of bringing my dear friend Anna. 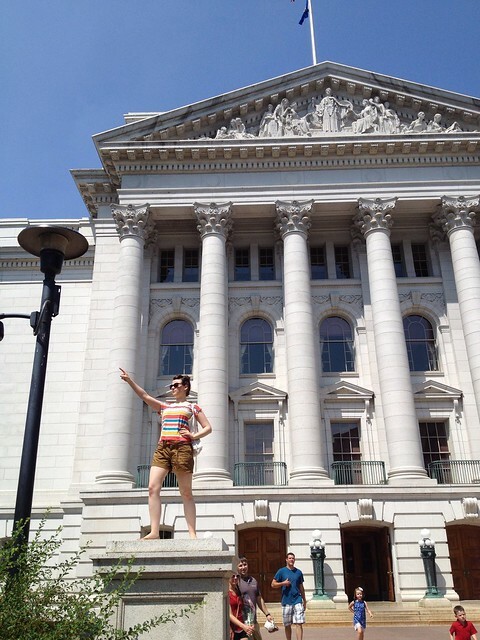 It was her first time in Madison, so we did some fun stuff like going to the Capitol. 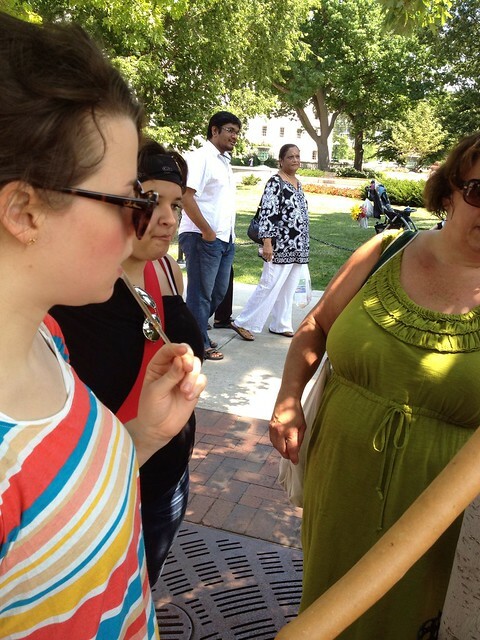 And walking around the Farmer's Market. Along side all that fun, Kyle's elicited my help once again for a project pitch for Admissions at SAIC. EDIT:: Sorry I had to remove the images. They liked them!! I like your native land and your people. I hope to return some day, and a grand day it will be. Thank you ever so much for your hospitalitay-hay! hahaha when I started reading this comment I was soooo creeped out about who this was but then I dun figgered it out. :) You are welcome back any ol' time. Hey shorty, what it is?